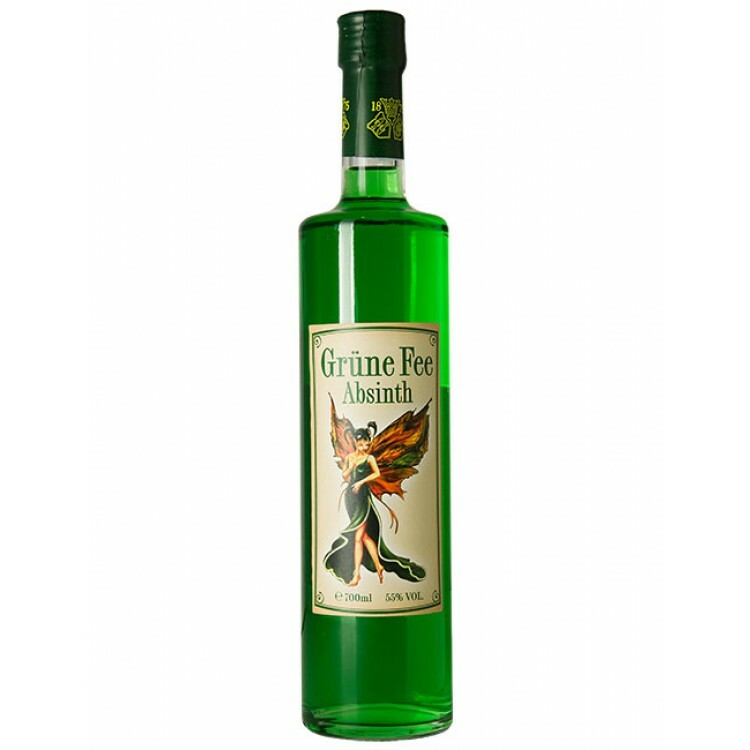 Gruene Fee is the German name for Green Fairy. This Fairy has a sweet non-licorice taste with a touch of cinnamon. Not a classic Absinthe, but perfect for those Absintheurs who do not like a licorice taste. I had a mini of this sent to me as a gift. Its not an absinthe; its a marketing device. It has the most beautiful bottle lable design of all and the colour is electric.. but its not absinthe. It looks great on the shelf.. but its not absinthe. So pretty... yawn. Taste great if you dont like Anise. Affect was decent and very easy to drink. Mr. "Absinthe is about the effect" here for another review. This is about the 13th or 14th spirit I have tried, and while it doesn't taste great, the overall package more than makes up for that shortcoming. First off, as suggested this is a GREAT mixer; you can mix 2:1 and hardly taste the bitterness of the absinthe and being only 50% there is practically no burn (don't know why you'd want a bite...). When prepared with the traditional method, there is admittedly no louche and it does taste rather artificial, although good enough that it can still be drank fairly easily (loads better than Vision in any case). The smell is sweet and rather pleasant, with just a hint of the alcohol noticeable. As far as bottle design goes, this is my favourite of all time; simple and to the point with an excellent animation of the Green Fairy, long neck, and clear to show off the great colour of the absinthe. It would certainly be worth an order simply for the beautiful bottle. 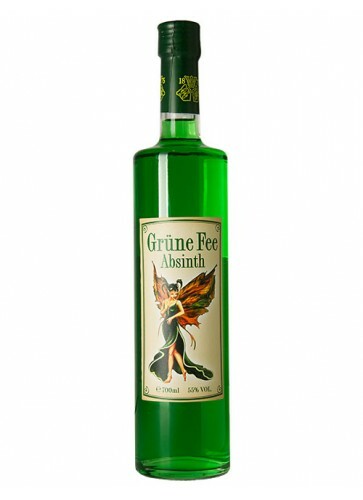 Value-wise it is unbeatable as well; a full .7 litres of high thujone absinthe for under 30 EUR is outstanding. And most importantly, the effect was quite noticeable, albeit rather straightforward. Not much in the line of uplifting mood and creative effects for this spirit, but it has a VERY nice, purely-sedating effect, so don't bring this one to an all-nighter! The thujone content feels around 20-22 mg. So then; decent taste, little to no burn, great value/bottle design, and a very nice absinthe effect add up to a solid 4-star rating in my book. Another review by BnD. Check out our review on gold/strong 68 for details on our preferences. It's a decent absinth for the price, but it doesn't stand on its own alone. It works much better for mixing than anything else.